For Nikon 14-24mm f/2.8 Lens. Please contact AquaTech for questions regarding compatibility with other lenses. Condition: Very good. Minor signs of usage. Seals tightly. No scratches. 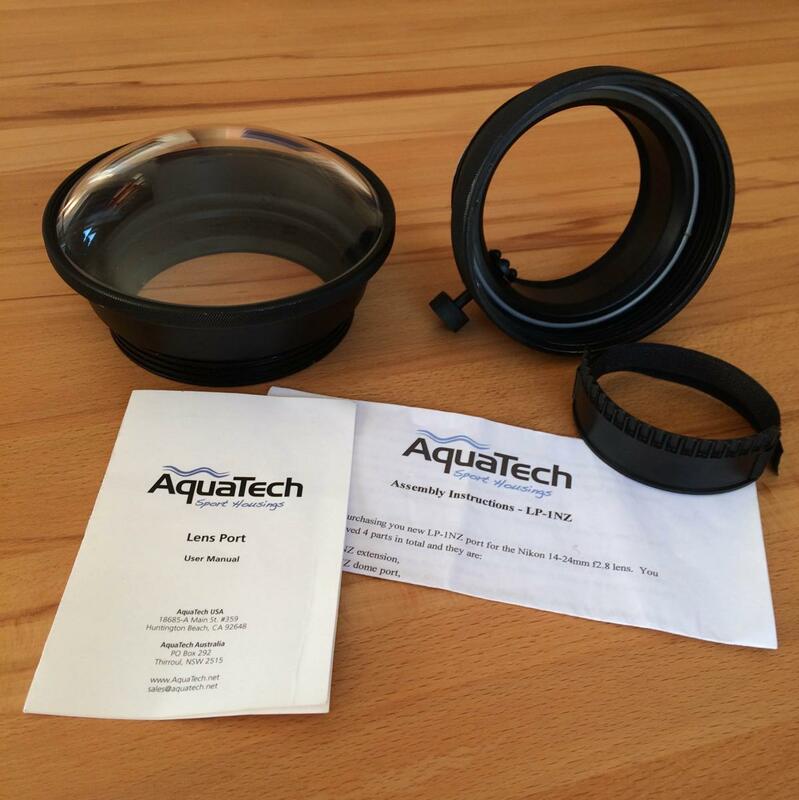 This Aqua Tech LP-1NZ 6" Dome Port is for the Nikon 14-24mm f/2.8 zoom lens. The port is threaded and will fit select Aqua Tech housings. No tools are required to add or remove the port.